Hardwood floors are classic and timeless. They work well with virtually any décor, and they can impress potential clients, current customers, investors and board members alike. 2. High Quality Floors = Low Maintenance. When the proper hardwood floors installation techniques are utilized, hardwood floors can endure many years of use. These floors also optimize acoustics, which is especially beneficial in conference rooms and offices. Finally, it’s much easier (and less annoying) to sweep and polish your floors every week than to rev up a loud vacuum. Hardwood floors are hypoallergenic, which means they don’t trap allergens like pollen, dust and dander like carpeted floors typically do. This translates to fewer allergy symptoms for your customers and staff alike. Not only will this increase the comfort of the people in your building, but it will also reduce embarrassing disruptions like sneezing, coughing and nose-blowing. A perkier, healthier workforce (and customer base) will be more energetic and more productive. The reduction in sick days alone can pay for the floor renovations and then some. 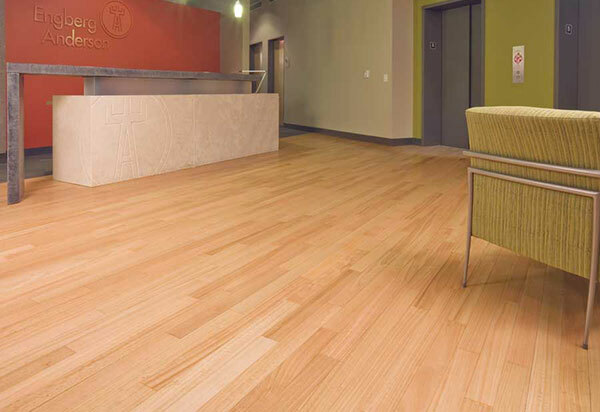 Are you ready to remodel your business using stylish, durable flooring? Contact the experienced professionals at Elegant Floors at (650) 961-1339 or (408) 773-8624. We specialize in finished and unfinished hardwood floors installation. We can help you and your team get healthier, enjoy the day-to-day at the office more and ensure seamless, environmentally compliant installation and maintenance. ← What’s the Best Vacuums for your Hardwood Floors?